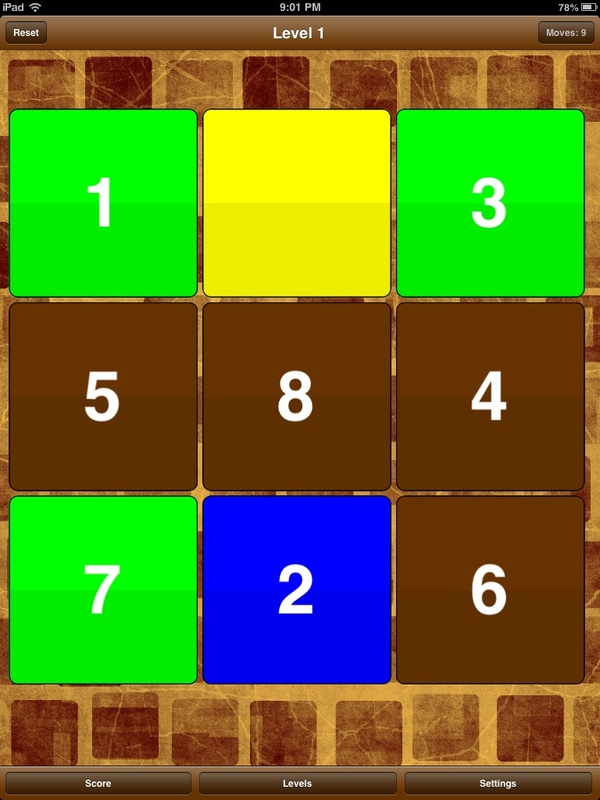 KrazzyMatrix is an interesting number puzzle that comes with multiple levels. 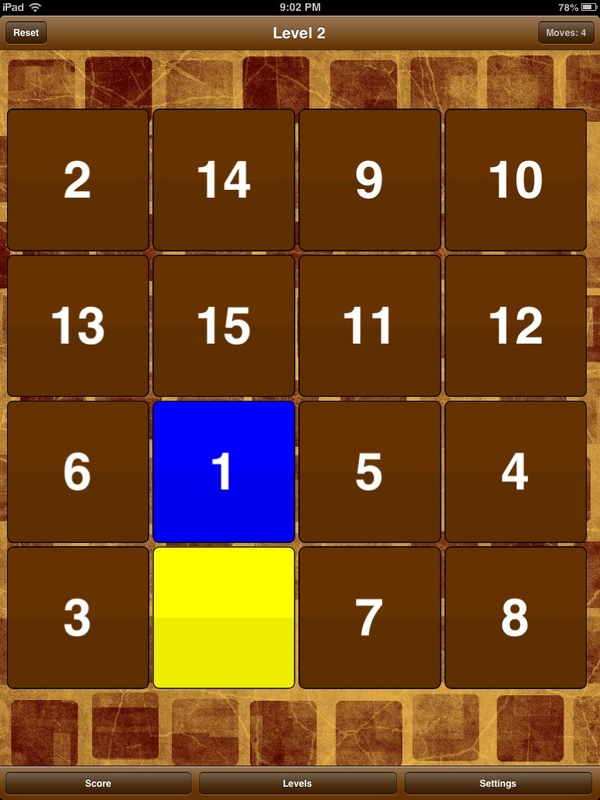 The game contains a matrix filled with number cells and one empty cell. 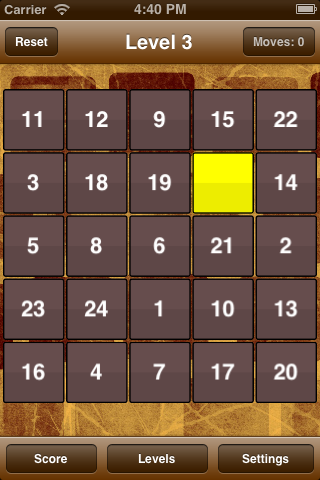 You have to move the numbers in ascending order using the empty cell. 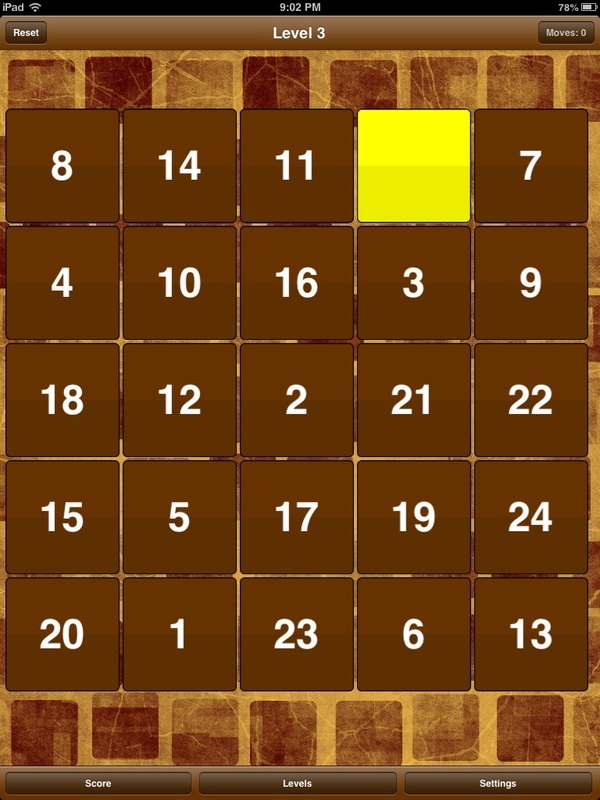 When all your numbers are in order the game will end. 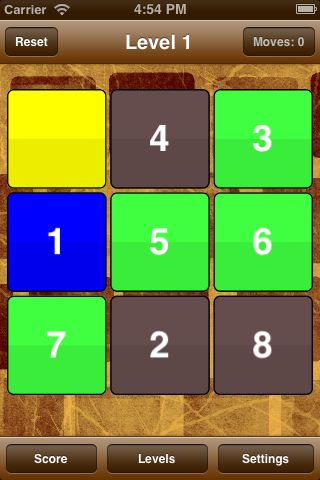 The game will also calculate total number of moves you performed to arrange the cells. 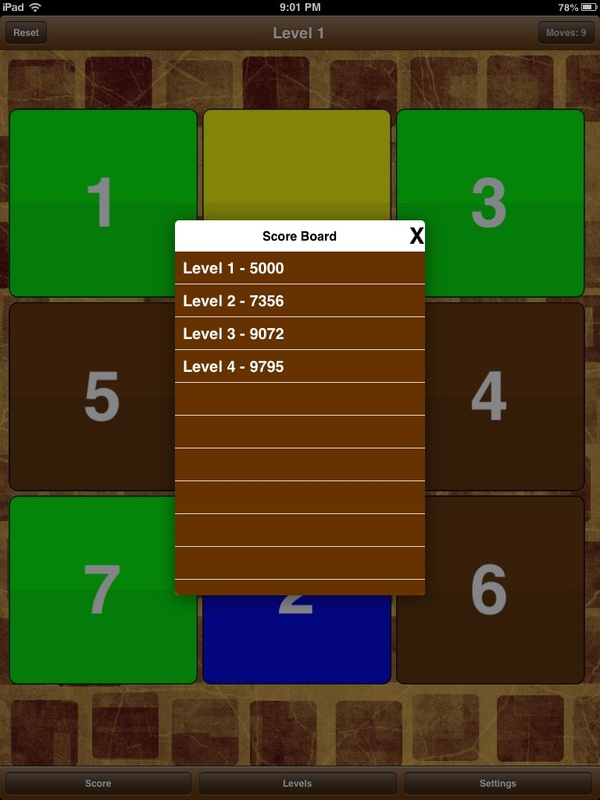 The more the moves the less the score and the less the moves the more the scores. To unlock the next level you have to successfully complete the current level. 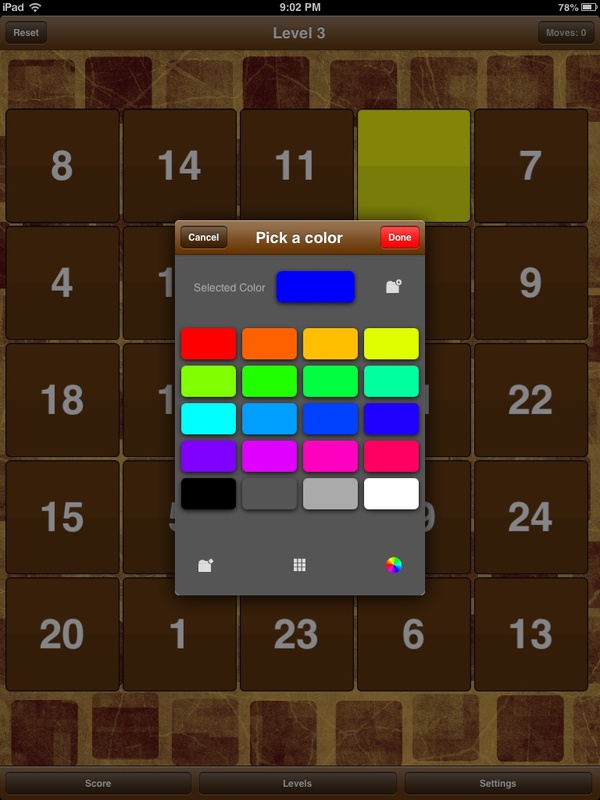 Just pan(Drag and drop) any number to empty cell. Move until all cells are in right place. 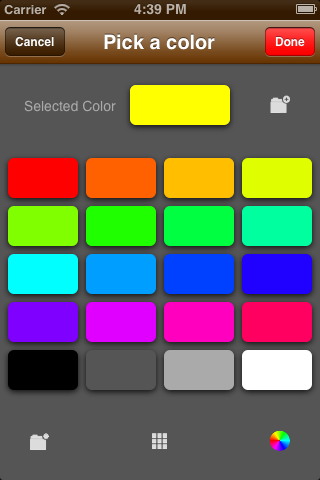 You can also restore the default colors. 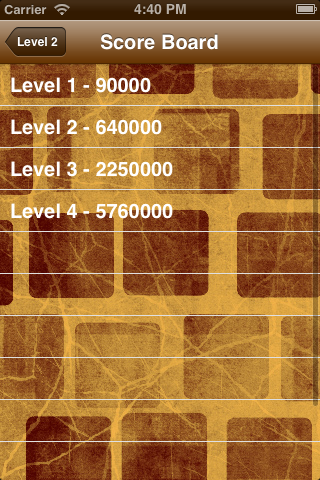 Currently the game supports the following levels. The system will record highscore of all levels you have unlocked. 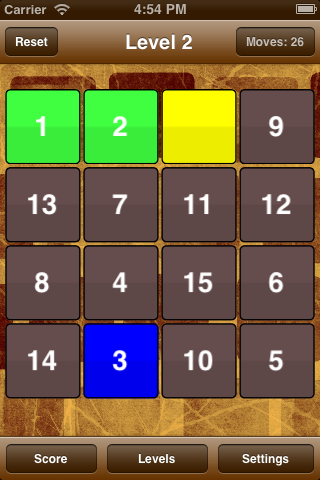 How to Unlock the levels? Initialy the game will begin with level 1. 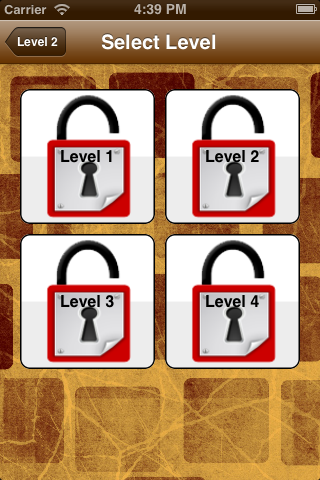 Once you complete the Level 1 the game will automatically unlock the next level for you. In other words , on every level completion you will unlock the next level. 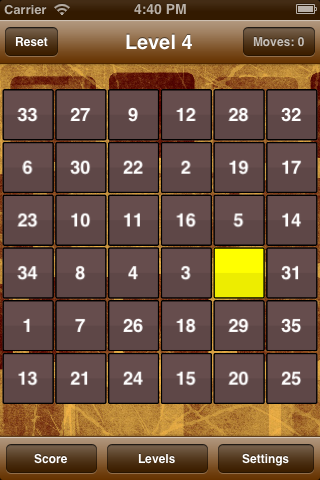 Why can not the empty cell moves? 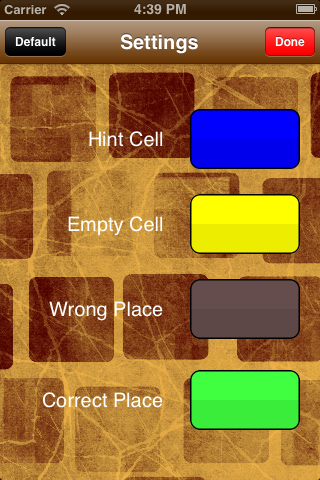 You can not move the empty cell, instead pan the number cell onto empty cell to move the cells. Why it is not working in Landscape mode? 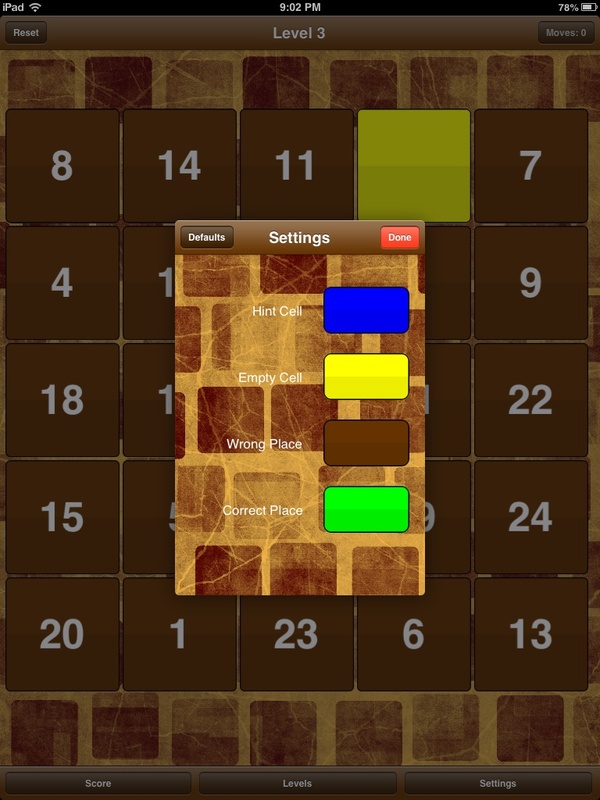 The game is designed to work only in Portrait mode. It does not support other modes. For any issues/bugs please contact asif [at] krazzyapps.com . Do not forget to put the game name in subject line.